The State Department announced today that the US government’s terror designation for Shabaab has been amended to include Al-Hijra, a “wing” of the group based in Kenya. 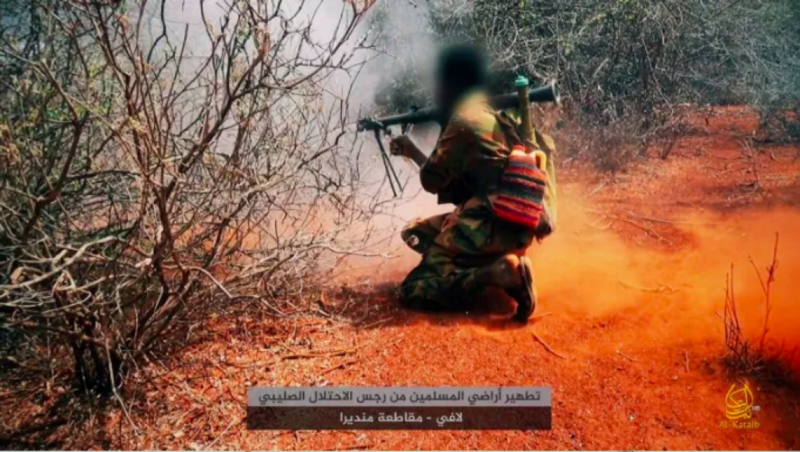 Shabaab is al Qaeda’s branch in Somalia and East Africa, a fact that it continues to advertise even as it wages a prolific insurgency against Somali forces and their international allies. Although the State Department doesn’t say it, Al-Hijra has also played a key role in Shabaab’s external operations — that is, plotting terrorist attacks outside of Somalia’s borders. And the group’s senior leaders have been hunted down as part of a US-backed counterterrorism program. One of Shabaab’s worst terrorist attacks to date was carried out at the Westgate Mall in Kenya in Sept. 2013. Just two months before more than 70 people were massacred in that mall, a group of UN experts warned that Al-Hijra was helping Shabaab plan “new and more complex operations.” That warning was contained in a report published by the UN’s Monitoring Group on Somalia and Eritrea on July 12, 2013. Many of the details below, drawing on that UN report and other sources, were previously published by FDD’s Long War Journal shortly after the Westgate Mall attack. As of 2013, according to the UN, Shabaab “expected to exploit its strong ties with extremist groups in Kenya and the United Republic of Tanzania to facilitate its external operations.” This conclusion was based on the “testimonies” of “serving and former” Al Hijra fighters, as well as “documents attributed to senior” Shabaab leaders. However, Al-Hijra had “suffered significant setbacks” and this “impeded” Shabaab’s “threat capacity” in East Africa. Yet, the threat from both groups remained. The UN reported that a key source of Al-Hijra’s problems was the “Al-Shabaab/East Africa Al-Qaida Disruption Initiative,” which is funded by the United States and assists “East African security services in combating terrorism.” The initiative targeted Al-Hijra and was responsible for “unexplained killings, disappearances, continuous ‘catch and release’ arrest raids and operational disruptions,” according to the UN. The UN identified several Al-Hijra leaders who had been killed or disappeared as part of the initiative, including Sheikh Aboud Rogo Mohammed, Al-Hijra’s “ideological leader,” who was “inexplicably killed in Mombasa, Kenya” on Aug. 27, 2012. Rogo was designated a terrorist by the US government and the UN the previous month, on July 5, 2012. The Treasury Department said Rogo played a key role in recruiting Kenyans for Shabaab, among other nefarious activities. According to the UN’s 2013 report, Makaburi “exerted a growing influence over Al-Hijra” and was “determined to redirect the group’s resources and manpower from hitting ‘soft targets’ to conducting complex, large-scale attacks in Kenya on behalf and in support of” Shabaab. Makaburi was subsequently killed in 2014. The other al Qaeda-affiliated terrorist guiding Al-Hijra’s operations, according to the UN, was Jermaine John Grant. Even while imprisoned, Grant had “effectively provided assistance, albeit remotely, to ongoing plots involving both Al-Hijra” and Makaburi. Grant, a British citizen, was arrested while allegedly planning a terrorist attack against tourists in Mombasa in 2011. According to The Telegraph and other sources, Samantha Lewthwaite, the widow of one of the July 7, 2005 London bombers, was reportedly involved in Grant’s plot as well. The British tabloids recently reported that intelligence officials suspect Lewthwaite (who has been dubbed the “White Widow”) has been recruiting suicide bombers for terrorist attacks against European tourist destinations around the Mediterranean. Of course, given the source of those reports, this should hardly be considered a lock. According to the UN Monitoring Group’s 2013 report, Grant admitted to Kenyan authorities that he is a “member of al Qaeda and not” Shabaab, suggesting that he is part of Al Qaeda in East Africa’s operations. In reality, Shabaab is itself a part of al Qaeda.